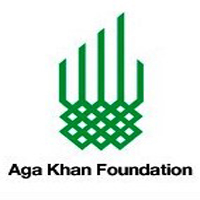 The Aga Khan Foundation (AKF) is a private, non-denominational, international development agency promoting creative and effective solutions to selected problems that impede social and economic development in parts of Africa and Asia. AKF-Tanzania is part of the AKF-East Africa regional structure that supports programmes in Kenya, Tanzania and Uganda. In Tanzania, AKF is managing a robust and expanding portfolio of multi-sectorial initiatives that includes programmes in rural economic development, education, health, nutrition, early childhood development and civil society strengthening. AKF has a strong team with operations in Dar-es-salaam, Mtwara, Lindi, Arusha, Mwanza, Morogoro and Zanzibar. AKF is looking for a dynamic and skilled professional who can take on the role of Accounts Assistant for the AKF Dar es Salaam Office. This position will report to the Financial Accountant. • Timely preparation, reconciliation, payment and submission of various statutory obligation. • Management of staff advances and accountabilities. Please quote the title of the position applied for in the e-mail subject line or on the application envelope. Only short listed candidates will be contacted. The Aga Khan Foundation is an agency of the Aga Khan Development Network (www.akdn.org).